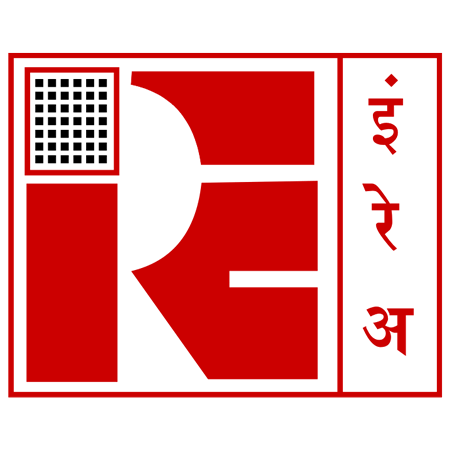 IREL Recruitment 2019: Indian Rare Earths Limited (IREL) / www.irel.gov.in is conducting recruitment processes to fill 1 vacancy. As of now, there is one recruitment drive going on for Apply Online/ Offline for Director (Technical) Post. IREL Recruitment 2019 - Apply Online for Apply Online/ Offline for Director (Technical) Post in Department of Personnel & Training, IREL, New Delhi on Absorption. Online Applications are invited by Indian Rare Earths Limited (IREL) from 15 Apr 2019 to 21 Jun 2019 till 03:00 PM for 1 vacancy. IREL Recruitment 2019 - Apply Online for 20 Management Trainees Posts in IREL, Mumbai, Maharashtra. Online Applications are invited by Indian Rare Earths Limited (IREL) from 23 Mar 2019 10:00 AM to 12 Apr 2019 till 11:00 PM for 20 vacancies. IREL Recruitment 2019 - Apply Online for Manager/ Chief Manager Post (IT/ Systems) in IREL, Mumbai, Maharashtra. Online Applications are invited by Indian Rare Earths Limited (IREL) from 12 Mar 2019 to 01 Apr 2019 till 11:59 PM for 1 vacancy. IREL Recruitment 2019 - Apply Online for Manager/ Chief Manager Post (IT/ Systems) in IREL, Mumbai, Maharashtra. Online Applications are invited by Indian Rare Earths Limited (IREL) from 23 Mar 2019 10:00 AM to 12 Apr 2019 till 11:00 PM for 4 vacancies. IREL Recruitment 2018 - Walk in for Technical Personnel Posts in Dept. Of Atomic Energy, IREL, Ganjam, Odisha on Temporary Basis. Candidates are invited by Indian Rare Earths Limited (IREL) to attend walk-in-interview to be held on 26 Feb 2018 10:00 AM for 7 vacancies. IREL Recruitment 2018 - Junior Research Fellow Vacancy in IREL, Kerala on Temporary Basis. Candidates are invited by Indian Rare Earths Limited (IREL) to attend walk-in-interview to be held on 19 Feb 2018 10:00 AM for 2 vacancies. IREL Director (Finance) Recruitment 2017 - Job notification for Director (Finance) Vacancy in New Delhi. Online Applications are invited by Indian Rare Earths Limited (IREL) and Last date of submission online application form printout is 05 Feb 2018 for 1 vacancy. IREL Technical Personnel Recruitment 2017 - Job notification for Walk in for Technical Personnel Posts in Chatrapur, Odisha on Temporary Basis. Candidates are invited by Indian Rare Earths Limited (IREL) on 06 Dec 2017 (10 AM) for 4 vacancies. IREL CS, Dy Manager Recruitment 2017 - Job notification for Company Secretary & Dy. Manager (HRM) Vacancy in Mumbai on Contract Basis. Applications are invited by Indian Rare Earths Limited (IREL) on or before 27 Oct 2017 for 4 vacancies. IREL Recruitment 2017 - Latest job notification for Executive Vacancies in Mumbai on Contract Basis. Applications are invited by Indian Rare Earths Limited (IREL) on or before 30 Aug 2017 for 2 vacancies.